There aren't enough food, service, value or atmosphere ratings for Leadville Espresso House, Idaho yet. Be one of the first to write a review! Great coffee in the center of town. Cool interior! Good, local coffee in downtown Ketchum! A great alternative to Starbucks, if you want to buck the corporate trend. Baristas are nice, but could work on their speed of coffee preparation...I think this is mostly the effect of a sleepy resort town, though! 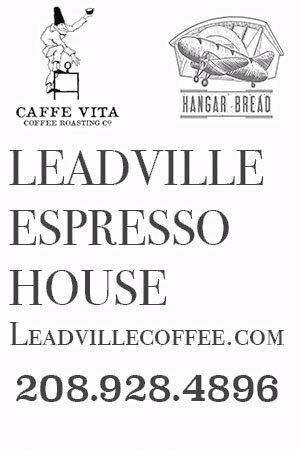 Get quick answers from Leadville Espresso House staff and past visitors.